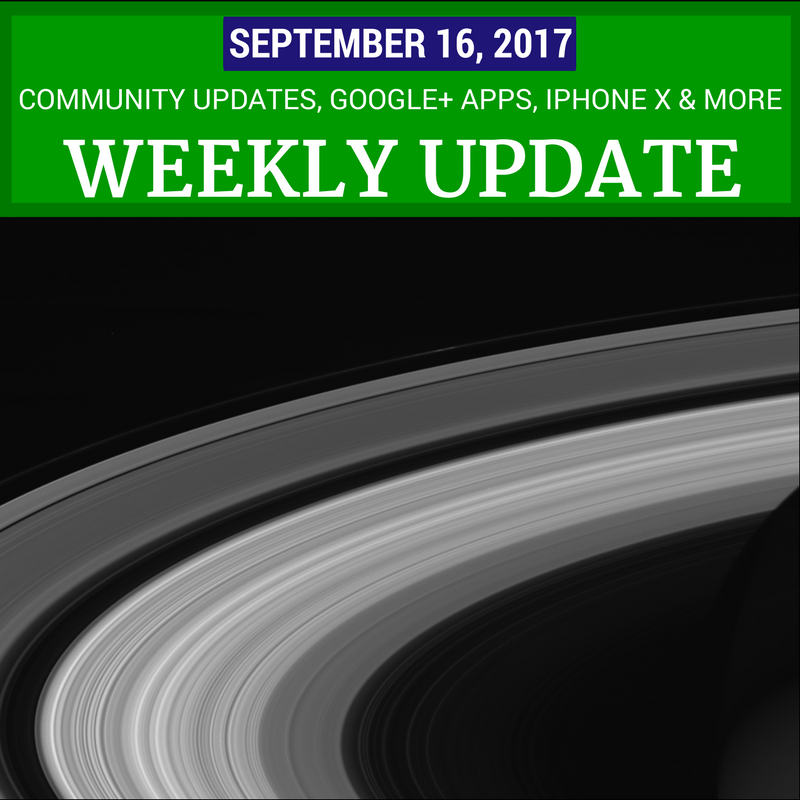 This week there are updates for Google Plussers, video watchers, advertisers, webmasters, smartphone buyers and much more. If you have a phone running Android 8 (Oreo), Google+ 9.20 has new notification options. The catch: unless you are familiar with Oreo’s new notification options, they are a bit hard to find. The Google+ iOS app also got an update with bug fixes. ProPublica discovered that Facebook enabled advertisers to target anti-Semitic ad categories. These were algorithmically created based on self-reported profile information. Facebook is implementing changes to help prevent this from happening in the future. The Google AdWords keywords planner also allowed anti-Semitic ad targeting - but according to Google such queries would be filtered so no ads would appear. They have turned off the offensive suggestions and, like Facebook, are working on preventing this from happening again. This week Apple had a live event at the new Steve Jobs theater. They announced two new iPhones, the iPhone 8 and iPhone X. The iPhone 8 and 8 Plus are like the iPhone 7, but with a faster processor and better camera. No big excitement there. It’s the sleek new iPhone X that people are talking about: “stunning” edge-to-edge OLED screen, “Portrait Lighting” mode for photographing faces, wireless charging, Face ID (which has prompted some security concerns), animoji (animated emoji), and a hefty price tag. But what if you are an Android, rather than an Apple? Mark your calendar for the Made By Google event on October 4th. Comments from people who think Google's Facebook page is the search engine - in a catchy song.